I know that one reason I don't post as frequently is that I can sum up what's going on in a pretty short statement. I watch birds. How much can I say about this. I've found a few spots where I find beautiful birds to watch (and photograph)....and I can sit there for hours (literally) and watch, and fire off hundreds of shots. I was out today, but not for as long as I would have liked. It was the prettiest day we'd had in over a week, and I headed out to try and photograph an osprey nest I've been watching. What incredible light there was this morning however, there wasn't a lot of activity. One of the birds was away from the nest the majority of the time, and the other was up there just keeping watch. 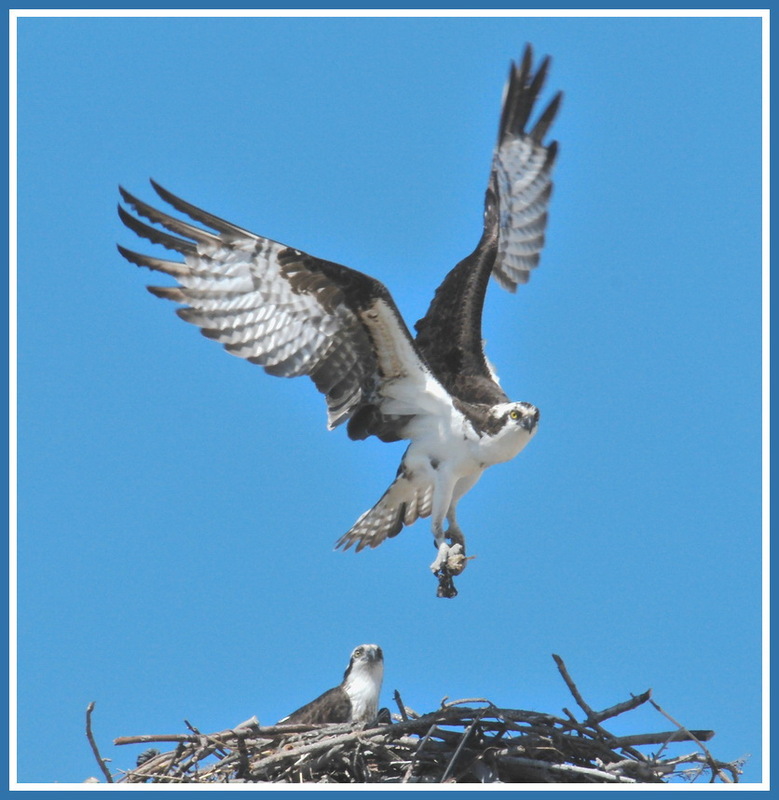 I missed a couple of incredible opportunities, I'd look away or get distracted by something else, and one of the ospreys would leave or return to the nest. But, I am patient...and I will wait. I had a time constraint today, and I pushed it just as long as I could before I had to leave. Nothing had been going on for quite awhile, but I gave myself just ten more minutes. My stalling paid off. I can't wait to go back there tomorrow. That is a great picture. At first I was thinking that they wait for you to look away before they move. But that one finally gave you the gift. What a beautiful photograph and how lucky you have found this place. I'm glad you were able to stall a few minutes longer to get this photo. BTW - this would be PERFECT for the current Round Robin challenge. OMG That is an awesome shot! !